Dark, twisted, emotional dramas have been my thing for time immemorial. The complexity of human character has always intrigued me, so when Badlapur promos began airing, I knew I had to watch it. The only other such movie that I have seen recently is Ugly, which, by the way, was awesome. But that’s another story. 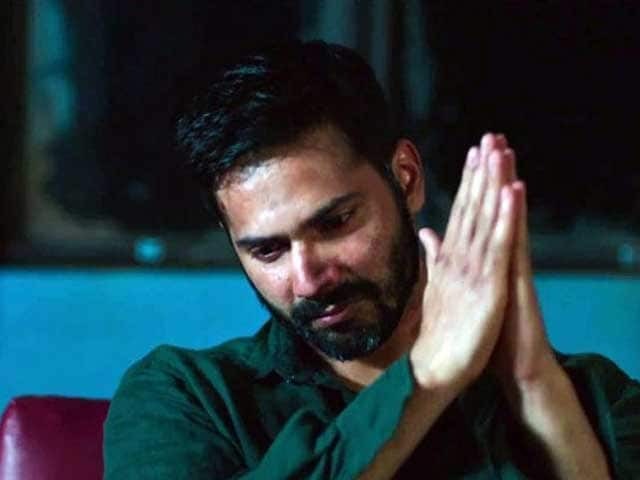 Badlapur is a revenge story and before you lift your hand towards your moth to stop that yawn, let me clarify that it is a tad bit more than what it has been meant out to be. It is not just a revenge movie but it plays amazingly well with the two sides of human character, good and bad that we are often uncomfortable to bring out in the open. Raghav (Varun Dhawan) is a simple, suave young professional who suddenly finds his world crumbling down when his wife and son are murdered in a bank robbery gone wrong. Blinded by his pain, loneliness and angst, he is driven towards vengeance. Though the culprit is apprehended, it takes multiple screen minutes and more layers than that to reveal the beauty in this thriller. Liak (Nawazuddin Siddiqui) claims he is not the one who killed Raghav’s family, so with blood in his eyes, Raaghav vouches to find the real accused, hunt him down and avenge the murder of his lovely wife and little son. The characters are all grey and unlike the clear demarcation of the characters of the protagonists and antagonists that we are so used to viewing on the silver screen in India. Therefore, it becomes quite unpredictable to judge the characters’ next move. Varun Dhawan’s portrayal of a man driven to insanity for want of revenge is vulnerable initially, intimidating gradually and terrifying eventually. He displays utmost maturity playing an array of emotions from love, compassion, angst, rage and submission. Nawazuddin shines in his portrayal of a ruthless and crude murderer who is naïve as well. For love and to eliminate his poverty, he goes to any extent to make his life work his way. The sheer brilliance with which he carries off his character makes us place our trust in the future of the Hindi film industry, a little bit more. Supported ably by Huma Qureshi, Divya Dutta, Yami Gautam, Ashwini Kalsekar and Vinay Pathak, this thrilling and chilling narrative rises in the second half after a brilliantly crafted first half. Each character meticulously designed not just for support but also to bring out the true colours of the narrative. Cinematography by Anil Mehta and editing by Pooja Ladha Surti makes this thriller dark, intense and served cold, laced deliciously with the warmth of emotions. The brilliance of the screenplay makes the minor flaws in the direction insignificant. Badlapur is bold, unlike so many other movies that are unable to draw the line between mainstream and parallel cinema. This one stands on its own. Power packed, fluid, warm, cold blooded, hard…all rolled into one. This one completely reminded me of Raghavan’s Ek Hasina Thi which was on the same lines….you know, the blurred line between good and evil. If this is the kind of cinema we are hoping to experience this year then we surely are in for better days for Hindi cinema. Let’s just touch wood and keep our fingers crossed!